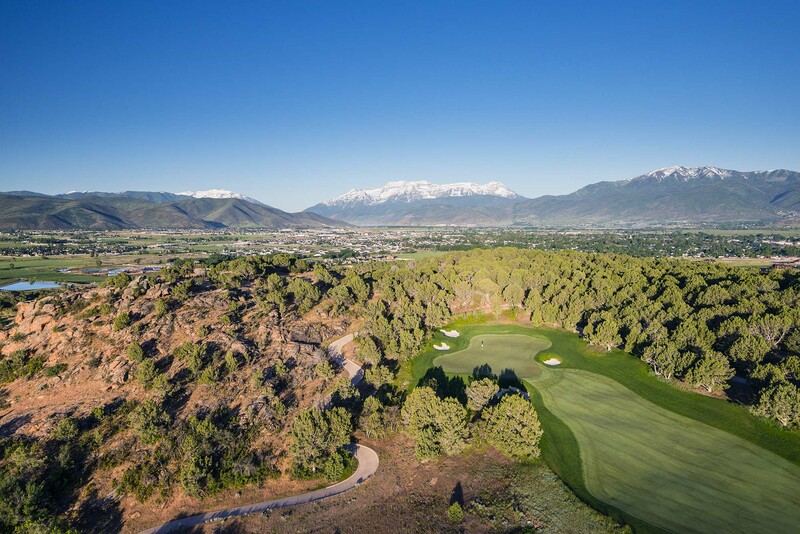 Red Ledges—the premier Rocky Mountain private golf and outdoor lifestyle community located less than an hour from Salt Lake City and minutes from Park City—finished 2018 having shattered numerous sales records. Tallying up the closings of homes, homesites, club cabins, cottages and villas across the 2,000-acre community, 134 properties with a total value of over $85 million sold in 2018 – both smashing previous record levels in Red Ledges’ 11-year history. The sales dollar total represents a 30% increase over 2017 – which was the previous record year! Cottages, cabins and villas saw the largest increase in sales, shooting up 39 percent over the previous year. One cottage received special recognition in 2018 as the publishers of ideal-LIVING, a national lifestyle magazine and relocation resource, chose Red Ledges as the destination community for their 2018 “Ideal Home.” That 3,269 square foot cottage was designed and built by Red Ledges’ own homebuilding team. Red Ledges Homebuilding is building similar cottages nearby, as well as a number of homes on the ridges overlooking the valley and mountain range. Red Ledges Homebuilding is leading the construction boom in the community – 2018 saw the 200th completed home in Red Ledges, and there are another 100 under construction or in the design and approval stages. Red Ledges was developed by Tony Burns and Nolan Archibald, long-time Fortune 500 CEOs with deep roots in the region. The vision and dedication of their families (as chronicled in celebration of the community’s 10th anniversary) can be viewed here. For information about living at Red Ledges, visit the community’s website at www.RedLedges.com. To see the latest and most accurate listings of available homes and properties, updated in real time, visit www.RedLedges.com/real-estate.